Workplace bullying is not a new phenomenon. Most of us (working professionals) have seen or experienced some serious incidents, but a recent verdict in Australia by the Fair Work Commission has ignited a fresh debate on the definition of workplace bullying. In its verdict, the Commission found that a pattern of unreasonable behavior over about a two-year period, which featured a range of demeaning actions including berating, unfriending on Facebook and so on, constituted the acts of workplace bullying. If statutory bodies are transforming labor laws to tackle such issues then employers also must recognize their responsibilities and ensure that their employees understand their rights and are aware of internal processes for reporting such incidents and not approach the courts directly. Modern HRIS incorporates a number of tools to help HR department manage their responsibilities effectively without increasing the workload on its HR staff. 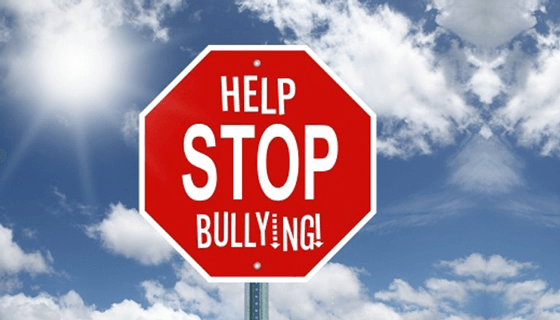 HR professionals explain that bullying is an unreasonable and repeated behavior. It may not always be intentional. In most cases, employees don’t even realize that their actions may constitute bullying. That’s why every employer should organize workshops or some education programs internally and explain guidelines in this context. Some of the frequent bullying acts include spreading rumors, isolating employees, verbal abuse, intimidation, unjustified criticism and even deliberately changing work rosters to annoy or tease a particular colleague or employee. This short video eloquently explains the act of workplace bullying. It also explains legal duties for workers, employers and supervisors. How to avoid workplace bullying? Occupational health and safety (OHS) policy statement of the company must address issues such as physical harm, bullying and mental harm. In some countries, statutory bodies ask employers to have proper policies and procedures in place to manage all types of anti-bullying efforts. For example, if your company’s HRIS solution has an Employee Self Service module, it should be able to help you manage the said processes and the reporting of incidents or complaints. A streamlined onboarding process can also help companies prevent bullying practices. If your HRIS solution automates onboarding process, then you can ensure that your new hires follow the company approved induction process which includes guidelines regarding bullying activities and the reporting process. Australia is not the only place where ‘workplace bullying’ is prevailing. According to David Maxfield, co-author of the books Crucial Conversations and Influencer, 96% of American employees experience bullying in the workplace and the nature of that bullying is changing. In such circumstances, HR Department can rely on a modern HRIS solution which are scalable and flexible. Such solutions can forecast possible bullying incidents by analyzing employee behavior and allow HR admins to control the situation before it gets serious.